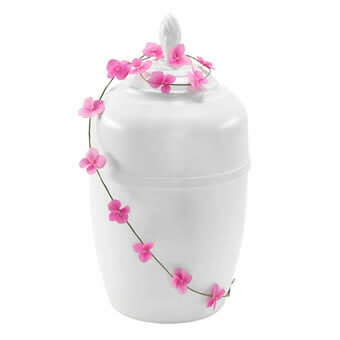 A graceful urn arrangement with pink hydrangea blossoms on a string. A tasteful arrangement for the last goodbye of a loved person. The flowers will be locally arranged by a florist.